I love painting my nails for the weekend but never really find time to take pictures and blog about it so I was quite happy when I found time to take photos of my manicure for this weekend. I love the way this design turned out, it's really simple but I still love it! The design is hot pink nails with a white crackle accent nail. 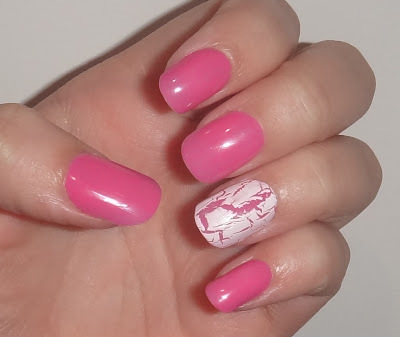 The pink I used was OPI "Shorts Story" and the shatter polish I used for my accent nail was OPI "White Shatter".